So here we are. If you've followed along with my last eleven posts then you will be somewhat familiar with Craig Koester's approach to the book of Revelation by this point. I found the idea of reading an Amillennial/Preteristic commentary of Revelation to be an exciting prospect since I'm somewhat of an eschatology newbie. By that I mean that I'm not the type to obsess over end times events or to really engage in argumentation somebody who has a different view of Revelation than me. The plus of this for me is that I'm not getting into arguments over stuff that I won't likely be around to witness anyway. The downside of this is that I lack a refined eschatology. Every good theological position needs to be raked over the coals by your rivals a few times before you can feel confident of its cogency, in my opinion. Now, from the get-go let me say that Koester's commentary struck me as something more akin to reflecting a Preterist-Idealist understanding of Revelation. Almost every image in Revelation is interpreted symbolically by Koester. Even the beast whose number is 666 receives a possible historical interpretation, and yet Koester seems unwilling to ever really commit to a firm historical understanding of any one individual fitting the image of the beast. This is true in almost every area of Koester's interpretation of Revelation. His commitment to the idea that the things in Revelation are for every era of the church means that nothing can be taken as having historically happened in any firm sense. This is why I am tempted to repeal my labeling of Koester as being Preterist. Now, it may be that he believes the events of Matthew 24 to have happened, and he might rightly be a Preterist in some sense, but his reading of Revelation does not really make clear (at least to me) that he really deserves to be considered a Preterist. Like I said, his reading of Revelation appears to me as more like what I understand the Idealist reading of Revelation to be. To be sure, he is Amillennial in his reading since he does not literalize the time of the millennium. But though he mentions favorably Augustine's view that we are in the millennium now, I noticed that he never comes out, himself, and shares his own belief. I noticed this because I was explicitly looking for it in the text. I have difficulty, as you can see, actually labeling Koester's approach, and since I'm an eschatology novice, I am myself unable to really categorize his approach, though I'm almost set on Amil-Partial-Preteristic-Idealist. Maybe somebody more knowledgeable than me can read my summaries of his arguments and tell me what he would rightly be considered. My experience reading Koester's commentary was very positive. Up until now, Revelation seemed to me - as it does for many - to be a confusing book which tended to radicalize people in unpleasant ways. On top of that, I never wanted to be an "eschatology guy," - a sentiment shared by most Reformed theologians that I know. But Koester's discussion of Revelation really opened the book up to me in that I knew there was a tremendous amount of symbolism in the book, and I had rarely seen it interpreted before. Even in the interpretations of Koester where I disagree (for example his contention that the "first resurrection" and "second resurrection" are actually the same resurrection seen in "slow motion") I was able to at least put the text into an intelligible framework within which I could at least consider alternative interpretations of different ideas. I can't say that I agree wholeheartedly with Koester's approach or conclusions, but I agree with his recognition with Augustine that Revelation is a book of cycles, where we see the events unfolding from different "perspectives" as it were. And so I appreciate his basic structure and will be piggybacking off of the things which I have learned from his book for many years, to be sure. 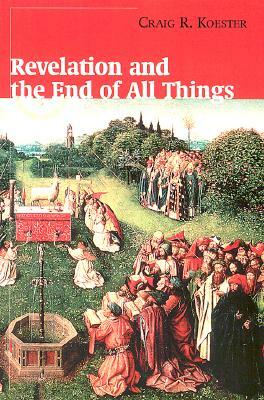 I do recommend Revelation and the End of All Things to every person who is looking for a simplified approach to Revelation that doesn't involve sticking your wet thumb into the proverbial wind to see where we're at in the eschatological time line. My gut tells me that he over-spiritualizes too many elements of the book, but his skill in crafting a coherent overall approach to the book scares me off a bit from criticizing too much of his take on things since his spiritualization of much of Revelation is what lends consistency to the account he has crafted for Revelation and the message that it was/is meant to communicate to the Church. Ultimately, his contention that Revelation is a book with Christ as its center is absolutely right, and a message for all Christians, whatever their view of the end of all things happens to be. 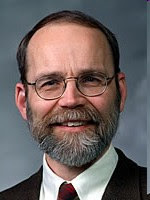 Audio of Koester's Series on Revelation is available for free here from Monergism. Revelation and the End of All Things is available from Amazon for just under $13 (as of my writing this, someone is selling a used copy on Amazon for $4), and the Kindle edition is available for $9.99. Amazon Drops Kindle Price to $139! Westboro Baptist Church at Comic-Con. Seriously. "You are gonna stay, and you are gonna LIKE it!" Is the PCA that Prototypical Denomination? So Sugary Sweet, My Teeth Hurt! Calvin: "We Believe Above Human Judgment"